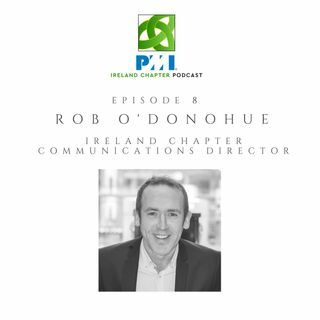 Pat Lucey talks to Rob O’Donohue, who is the Communications Director of the Ireland Chapter of PMI. During the interview, Pat talks to Rob about his early career and how he moved into to Project Management. He talks to him about the idea behind the podcast, how Rob’s own personal podcast, called 1% Better, has grown and asks him to share some of his learnings from that. Finally, Pat asks Rob about areas that he’s improved in over ... See More the last couple of years, and the value he’s gained from being an active volunteer and member of the Ireland Chapter of the PMI.